Christiane’s Makeup Studio is situated in Sandhurst, Berkshire. 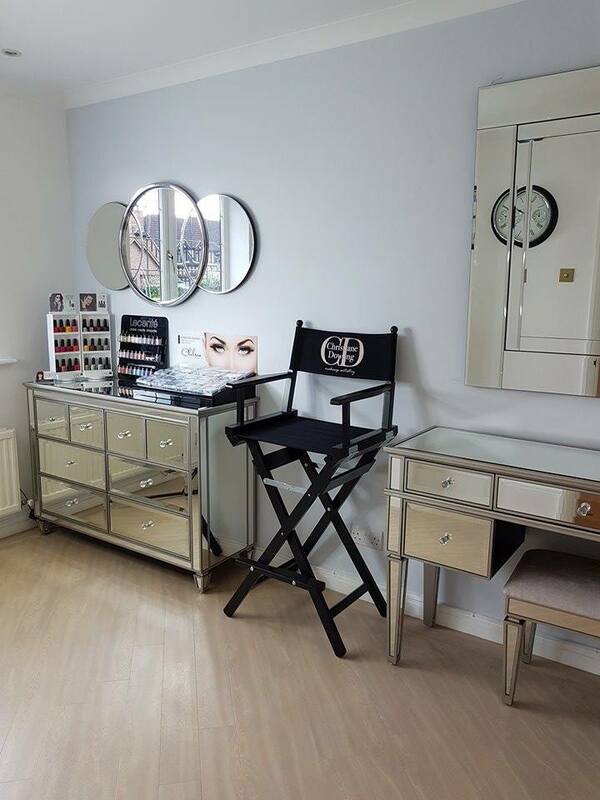 On the cusp of 3 of the Home Counties, the Makeup Studio is conveniently located for clients from Surrey, Hampshire & Berkshire and easily accessible from London by road and rail links. The Studio is the perfect place for your Bridal Trial & Consultation, your Special Occasion Makeup or preparation for your Photo Shoot. With a bright & calming setting & professional lighting, you will also have access to Christiane’s complete & extensive range of high end products. For Makeup Lessons, The Studio is a private and comfortable environment that will help you feel relaxed and at ease while you learn. The closest railway station is Blackwater, which has direct links from Reading & Guildford is 1 mile from The Studio. Farnborough Main Station is 6 miles away and has regular direct service from London Waterloo taking just over half an hour. For clients requiring a taxi service, Hart Cars 01276 33633 is recommended for a reliable & well priced service.